Rooted in the poetry of John Dunn, William Blake and the great early blues lyricists of America, Van Morrison's vision is both mystical and utterly contemporary. He is a colossally important, inspiring and influential figure in the music world and his place as one of a handful of truly iconic twentieth century artists is secure. 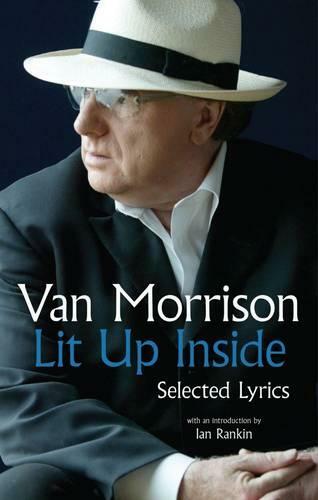 Van Morrison says: 'The lyrics in this book span 50 years of writing and as such are representative of my creative journey.' In this representative selection from the work of one of the most innovative and enduring songwriters of the last century, the reader will find examples of all the features of the world that Van has created through his work: the back streets and mystic avenues; memories of childhood wonder and of adult work; the chime of church bells and the playing of the radio; the generous naming of other artists and the joy of solitude; love and sharp dealing; consolation and grace. Best know for his Rebus series, they deliver hard-boiled crime with a distinct Scottish flavour - sometimes cheesily referred to as "Tartan Noir". DI John Rebus is an old-fashioned copper with a love of off-kilter music, and the odd refreshment.